World No. 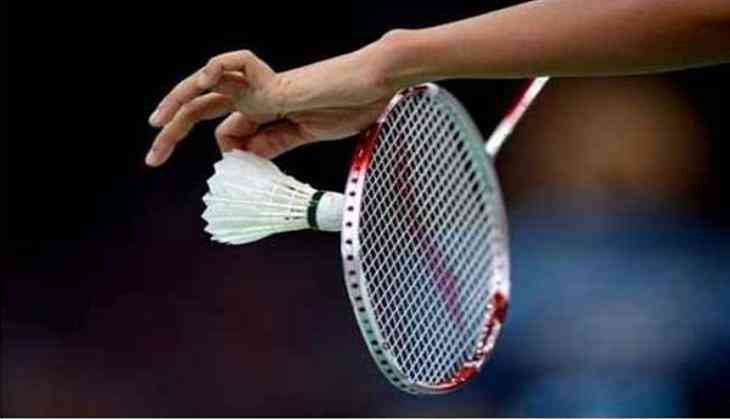 5 Son Wan Ho of Korea defeated England's Rajiv Ouseph in a crucial men's singles match as Awadhe Warriors edged out season 2 champions Chennai Smashers 4-3 in a thrilling encounter of the Premier Badminton League Season 4 here on Monday. Korea's Sung Ji Hyun continued her unbeaten run but her brilliant effort went in vain in a thrilling encounter at the Kanteerava Indoor Stadium. Along with Sung, Chennai's mixed doubles pair of Chris and Gabby Adcock also won their match but Awadhe Warriors emerged victorious in men's singles and men's doubles through Lee Dong Keun and the Trump combine of Lee Yang and Mathias Christiansen. With the four points that the Warriors earned from Monday's match, they have now moved up to the second position with 20 points. The top position in the leaderboard is still held by the defending champions Hyderabad Hunters. The Smashers looked up to their World No. 11 women's singles shuttler Sung Ji Hyun to deliver them the Trump victory over Awadhe's World No. 10 Beiwen Zhang. Sung has a 3-1 edge over the American in their head-to-head meetings on the BWF circuit and it stayed the same way as the Korean ace beat Zhang 15-13, 15-8. Interestingly, it was Zhang who led till 10-8. But the former World No. 2 was not to be denied. Settling down into the match, she cut down on her errors and brought out her angular smashes to get the game. With one game already in the kitty, Sung started looking even more lethal. With her crosscourt smashes doing most of the talking, Sung moved ahead smoothly to 11-8 before winning the next four points as well. Chong Wei Feng has a 1-0 head-to-head record over the 27th ranked Lee Dong Keun in the international circuit. But that could not make any difference as a strong and accurate Lee Dong Keun beat the Chennai shuttler 15-7, 15-13. The Korean was on song right from the start and built an 8-2 lead at half-time in the opener. In the second game, Chennai had a glimmer of hope when the 43rd ranked Chong went up 8-6 but Lee found his aggressive strokes just in time to deny his opponent any advantage. After levelling the score at 9-9, he withstood some stiff resistance from Chong towards the very end to grab the win. Awadhe's decision to award their Trump for the night to their men's doubles pair of Lee Yang and Mathias Christiansen worked out perfectly as they had a dream start against Chennai's Chris Adcock and Sumeeth Reddy. The Men in Blue completely outplayed the yellow brigade, posting a commanding 15-8, 15-6 win. Adcock and Reddy managed to stay on the heels of Yang and Christiansen at 8-10 but the Awadhe pair simply ran away since then to pocket the game. The second game was even more one-sided with Lee and Christiansen opening up a staggering nine-point lead at 11-2 at one stage before closing out the match. Being the World No. 9, the seasoned mixed doubles pair of Chris and Gabby Adcock were the favourites against the Warriors' Christiansen and Ashwini Ponnappa. And the match looked to be heading their way when they battled back from 5-8 down to take the first game 15-13. Mathias and Ashwini did not let that setback bother them. With the Adcocks' game collapsing into a heap of errors, they raced out to 6-1 and then held on to their lead to pocket the game 15-9. The Adcocks were a pale shadow of themselves for most of the decider until a dramatic turnaround happened in the last few points. Trailing 8-12 and looking down and out, the Adcocks dug deep to save as many as three match points to secure a thrilling 15-13, 9-15, 15-14 victory. It was left to the former World No. 1 Son Wan Ho to do the job for the Warriors and he didn't disappoint. CWG bronze medallist Ouseph of the Smashers was hardly a match for the Korean, who wrapped it up 15-6, 15-6.